My biggest challenge is timing. No matter how hard I try, I cannot get it down and that is when my anxiety kicks in, and it all goes downhill from there. My biggest fear is that this will be the one obstacle that will keep me from going to medical school. I am hoping to increase by around 25 points. I am a slow test taker so timing on the exam is what really stresses me. I have a very competitive GPA and resume but I fear that my MCAT score will hold me back in the admissions process. I need about a 10 point score increase. Timing is one of the biggest frustrations of students writing the MCAT and we completely get it. Nothing can be worse than not being able to finish passages or having to guess on answer choices that you intuitively know you can answer correctly. 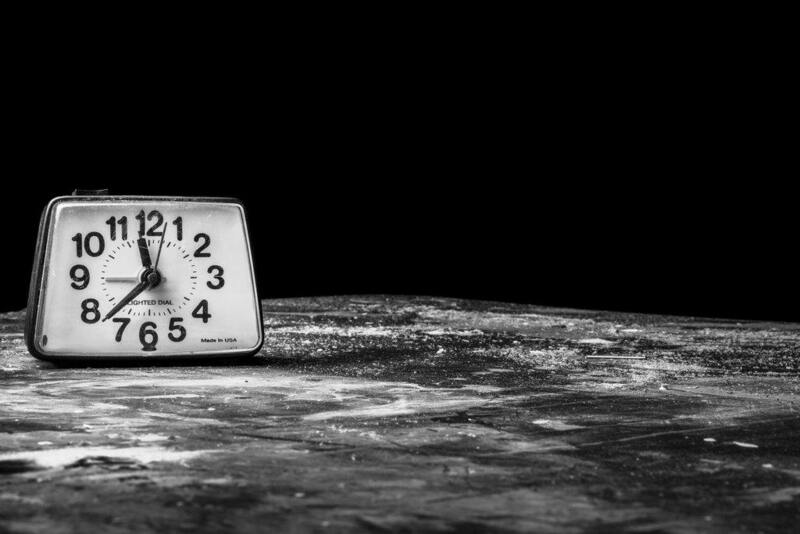 After years of researching the MCAT prep strategies of top MCAT scorers, we've discovered the solutions to the 'MCAT timing' problem. It takes a little practice, but you can get to the point where you finish the MCAT with extra time left over to double check all your flagged answers. The #1 problem is with MCAT timing issues is that students think that timing is the #1 problem! Read that again if you have to. Inefficient timing on the MCAT is a byproduct of an inefficient approach in the way you're studying for the MCAT, in the way you're taking practicing exams, in the way you're reviewing practicing exams, and/or in the way you're thinking during the MCAT. For example, most students can't handle a 7 hour exam. So by the last 2 hours, their 'stamina' has declined, so they're reading and comprehending slower, and then they're wondering why they can't finish passages on time. Another example is when a student hasn't learned how to identify the main idea of a CARS passage and/or deconstruct the question stems and answer choices, and therefore, has to slowly analyze everything to make sense of it all. Another example is when a student is finishing in perfect time during practice exams but hasn't really practiced in a strategic way that actually prepares them for the big test day, when nerves, tension, pressure are all against them. If you want to improve your timing, improve the way you're preparing for the MCAT. When you start taking a more strategic approach to MCAT prep, not only will your timing improve, but your overall score will skyrocket. It's a self-feeding system. But you need to be practicing in the right way. 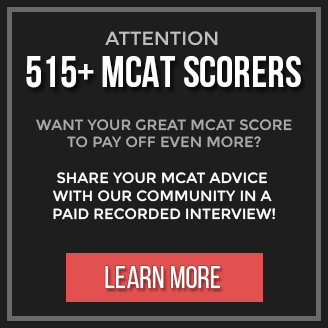 In the rest of this post we're going to give you two great top scorers recommendations for your MCAT timing. However, we don't want to waste your time so we'll give you a smarter option. It's up to you if you want to take it. The smarter option is to invest the next hour or two going through a PDF strategy guide that we created which includes all the MCAT prep strategies of top scorers that have proven to help premeds maximize their MCAT scores by 10+ points within 30 days. When you apply the strategies in that downloadable PDF guide, you'll be improving the way you're preparing and practicing for the MCAT. As a consequence of your MCAT prep becoming more efficient, you'll automatically see your timing improve. Plus, our highest yield MCAT timing strategies are in that guide as well, which you won't find anywhere else. Anyway, if you're interested you can download the guide or get more details about it here. How Much Time Do Top Scorers Give Per Passage on the MCAT? "How much time should I be giving myself per passage per question for the new MCAT?" This is an important question and you'll definitely want to incorporate what we're about to tell you during your MCAT prep, if you want to take your MCAT performance and score to the next level. Firstly keep in mind that the amount of time required to complete a given passage and its accompanying questions can vary, depending on the length and difficulty of the passage, the number of questions, and the difficulty of the questions. With that being said, generally we advise 10 minutes for CARS, and 8 minutes for everything else. That will give you enough time to go back and review for as much as 10 minutes. When it comes to timing, we can't stress enough to always time yourself no matter what kind of prep you're doing. Time your practice passages as well as your full length tests. How much you know doesn't matter if you can't retrieve that information fast enough to answer the questions in the allotted amount of time. When you first start studying and doing practice questions, chunk a few passages and questions together and give yourself a bit more time per question than you will have on the actual MCAT. At this point, the most important thing is that you answer the questions correctly. Once you have your systems and strategies in place, slowly give yourself less and less time until eventually, you can even give yourself less time than you will have on the actual MCAT. Remember, this doesn't mean rush! Rushing is counterproductive. The goal is to stay effective, but fast. Not just fast. What you are training for is to prevent yourself from getting into the habit of leisurely thinking through all the content you have learned every time you have to answer a question. Timing yourself constantly will force you to get in the habit of thinking as efficiently as possible on test day. It’s almost guaranteed that in most MCAT sections, and especially in the CARS section, you’re going to come across a question that’s extremely difficult. The average test-taker will immediately start to work on figuring it out, feeling like he or she is getting closer to the answer, and not realizing that they have spent way too much time on it. It’s an unconscious bias where the more you invest your energy and time into something, the harder it is to let it go. The top scorer on the other hand, recognizes the longer time he or she spends on answering one question, the less time available to answer the other easier questions. Top scorers are able to make the judgment that’s in their strategic favour. So if chances are that you’re going to get this extremely hard question wrong no matter how much time you put into it, is it really worth it to put TOO much time into it? The average test-taker thinks they need to get every single question right including all the hard ones, whereas top scorers are just aiming to get all the easy questions right and most of the medium questions right. First, a good rule of thumb is to remember that top scorers spend maximum 60 seconds on a particular CARS question, and that's what you should aim for as well. Another rule you can apply on yourself is for every passage, give yourself permission to suspend one question until the end. Obviously, you’ll be doing this for a question you come across where it’s apparent that it’s really difficult. You definitely want to read through the question, read through all the answer choices, and even think of which answer choice would be your best guess. Then choose your best guess answer choice (because you never want to leave it blank), flag the question, and move on to the next question. Once you’re finished the passage, and IF you have time, then return back to the question. Remember you’re coming back to this when you’re finished the passage, not when you’re finished the section. If you come back when you’re finished the section, you won’t have a clear memory of what the passage was about. You need to know how much time is available for you for each passage. How do you know how much time you need to give yourself per passage? Well there’s a breakdown template that many 130+ scorers use based on how many questions are in the passage. We’ve discussed this in detail in over two pages in the CARS Mastery Report. We highly recommend you download and read through this PDF if you haven’t already. Lastly, remember it can take some time to get used to the principles of better timing on the MCAT. Just make sure you learn ALL the timing strategies you can (so you can get used to them all at the same time, instead of one after the other). Then keep practicing using these strategies, and soon, you’ll be finishing sections at an optimal, efficient speed.